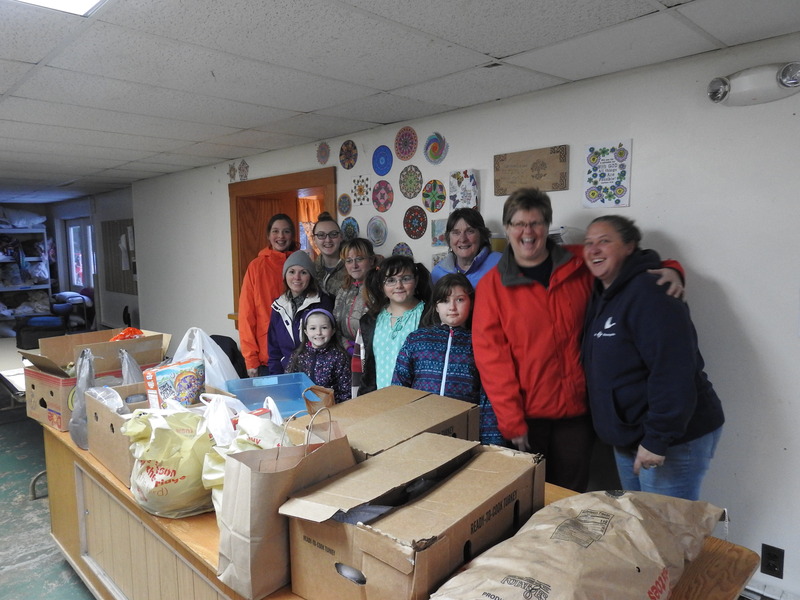 Temple scouts drop off food at the Western Maine Homeless Shelter last month. FARMINGTON - Western Maine Homeless Outreach will hold an open house and Cookie Palooza fundraiser at its Wilton Road location on Dec. 16, inviting members of the community to learn about the shelter and decorate some Christmas cookies. The event will run from 2 to 4 p.m. on Dec. 16 at the Living Waters Assembly of God Church, located at 549 Wilton Road in Farmington. In addition to a holiday cookie decorating station, organizers will be selling cookies by the dozen to benefit the shelter. WMHO opened in 2013, providing a local option for displaced families and individuals. Limited to 16 beds, the shelter prioritizes families, the elderly and veterans, admitting people after a background check. The typical waiting list is 10 to 20 people, according to WMHO board member Mary Beane. With approximately 17 percent of western Maine residents living below the poverty line, Beane said, many people are at risk of losing their access to housing. "We have families that are one paycheck away from being homeless," Beane said. The shelter is currently open from 4 p.m. to 8 a.m. Beane said that the shelter is continually looking for more volunteers to run day programs. That way the shelter wouldn't have to lock up during the day. Anyone who is interested in helping out is welcome, Beane said. Anyone interested in volunteering can contact the shelter at 491-4100 - leaving a message during the day - or through the WMHO website. Additionally, the WHMO is looking for more board members as several terms are coming to an end. The board is continuing to seek donations to fund a move from the Living Waters church to the Holman House on Main Street. That building, owned by Old South First Congregational Church, would provide WMHO with more space and also make the daytime closure more palatable: currently, a family staying at WMHO would have to walk along busy Wilton Road. WMHO is looking at organizing a capital campaign to fund necessary renovations at the Holman House, Beane said. The Cookie Palooza will include sugar cookies that can be decorated, as well as pre-decorated cookies available for donations. Board members will lead tours of the shelter and explain how it operates. For more information about the event, call Mary Beane at 578-0236 with any questions. Could you please show a photo of the outside of the building, so it is easier to find the right place for the cookie sale.